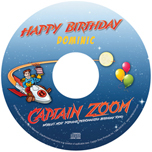 The Captain Zoom® DVD is an animated cartoon, sing-a-long and adventure story featuring Captain Zoom. • See the person’s name on the screen 8 times! • Over 4,500 names available! 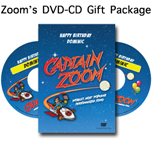 A great birthday gift for the special person in your life. 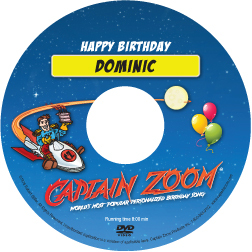 Watch the child’s eyes light up as they hear Captain Zoom sing their name as it “pops” right out of the screen.